With the Spot Vario, retailers are able to reconfigure their installation according to need, using accent or general lighting to illuminate temporary displays and promotions to best effect. Spot Vario is easy to install as it is connected to an external driver with a bayonet connection. 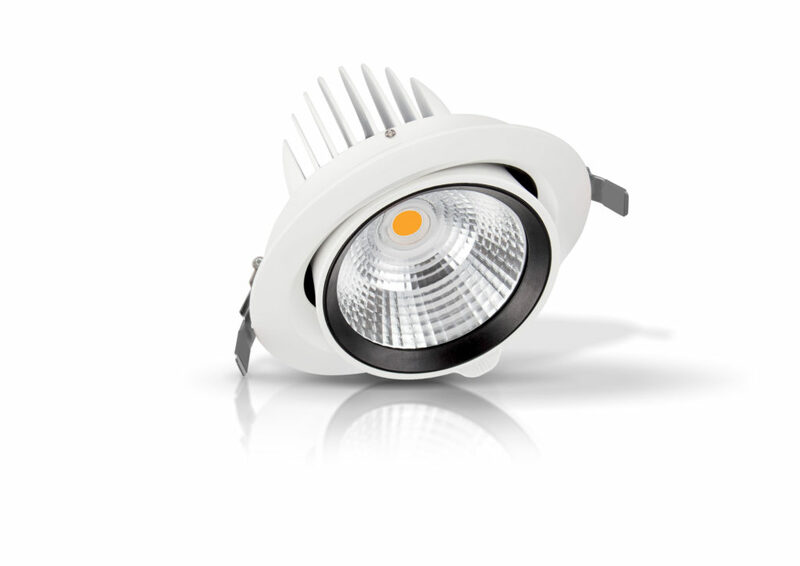 The luminaire and the ECG can therefore be easily separated to allow DALI or DIM devices to be connected, and the aluminium reflectors with their black ring provide excellent anti-glare properties (UGR<16). Also new is the Spot Multi, a versatile cassette spotlight that has cardan joints for the luminaire heads, meaning they can be adjusted in any direction to provide a high degree of flexibility in illuminating a room whenever the layouts are changed. This is an important consideration for fashion boutiques, for example, where a single luminaire has to provide both basic illumination and flexible accent lighting. With its broad portfolio of LED retrofits, LEDVANCE offers excellent options for existing luminaires. The new AR111 reflector lamps and the PAR16 and MR16 lamps in high and low-voltage versions have excellent colour rendering (CRI 97), making them perfect replacements for halogen lamps. The same applies to the LED lamps in Classic A, Classic B and Classic P designs (CRI 95). With the exception of AR111, all the lamp bulbs are made of glass.